A patient's perspective on participating in the I-SPY 2 TRIAL. A Patient's Perspective: Why I chose I-SPY 2. 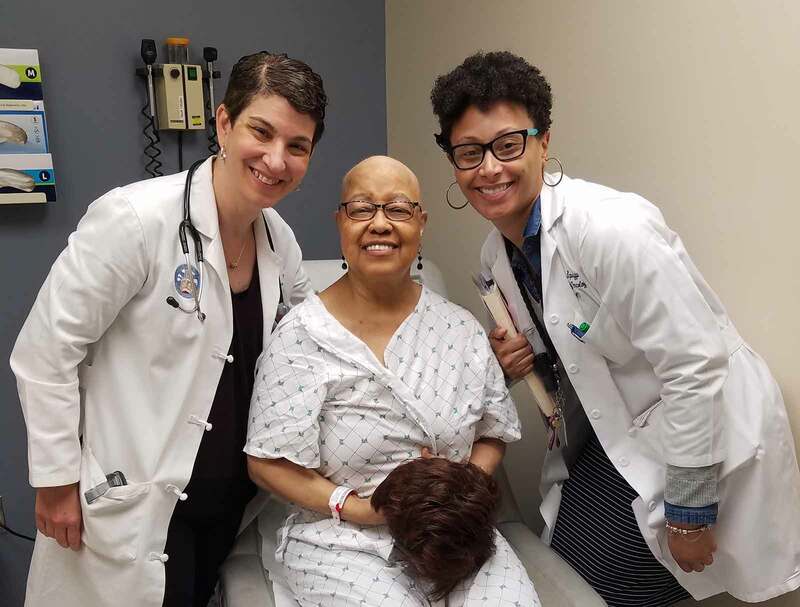 I chose to participate in the I-SPY 2 trial for my breast treatment after the option was presented to me by my oncologist, Dr. Claudine Isaacs, at Georgetown University. I was provided lots of information on the trial to read and consider by Tiffany, the I-SPY 2 coordinator, who answered all my questions about the trial. After reading the material and going back and forth with Tiffany, I had several reasons for agreeing to participate in the trial. Most persuasive for me was the fact that the trial was studying responsiveness to an investigational treatment for Triple Negative Breast Cancer (TNBC), which was my diagnosis. I also learned that the I-SPY 2 trial protocol was designed by a doctor/professor at M.D..Anderson Cancer Center. Also, it was important that the study was sponsored by a nonprofit foundation – Quantum Leap Healthcare Collaborative– and involved a number of outstanding public health (cancer) organizations including the National Institute of Health, the FDA, the National Cancer Institute, as well as researchers and doctors from leading academic centers, and cancer patients advocates. To me this was a credible, trustworthy study. I also considered that the investigational drug administered at Georgetown under this trial was KEYTRUDA (pembroliaumab). I read about the promise of this drug and knew that KEYTRUDA had already been approved by the FDA for treatment of other cancers. I hoped that If I were selected to receive KEYTRUDA, that it would increase my chance of obtaining a greater positive chemotherapy response. I was not randomly chosen to receive KEYTRUDA, but considering the other important benefits of the study, I did not change my mind to participate. I thought it was a significant benefit of being in the trial that participants were very carefully monitored. I really liked the fact that the trial called for obtaining MRIs at short intervals to track the tumor's response throughout the treatment: 4 in total (before start, after 3rd infusion, after 12th, and at end of infusions). This aspect was very attractive to me. These MRIs allowed the patient to see if the specific drugs were working or not, well before the end of treatment. And, the extra MRIs were at the expense of I-SPY 2. Having that information, a patient had the option of quitting the trial at any time. Also pushing me to participate in this trial was a keen desire, due to the death of a dearly beloved niece, to do what I could to contribute to the research and development of better treatment, and hopefully a cure for this dreaded disease. Importantly, I have two daughters, as well as sisters and many loved ones, who could fall victim to the breast cancer. I hoped that information obtained from my participation in the trial could help all who received a breast cancer diagnosis after me. Finally, the trial was administered by Dr. Isaacs, my oncologist, who I had come to regard as highly competent and caring. I trusted her judgment.